Gauze is a form of medical dressing. When covering a wound, a dressing, usually made of cotton gauze, is placed over the wound, followed by a white bandage to secure the dressing in place and apply compression. The type of medical dressing used depends heavily on the injury. A medical dressing is a covering for a wound or sore. The main purposes of a dressing are to protect the open tissue from germs and bacteria which could lead to an infection as well as minimize irritation from foreign objects so the wound can heal quickly and properly. 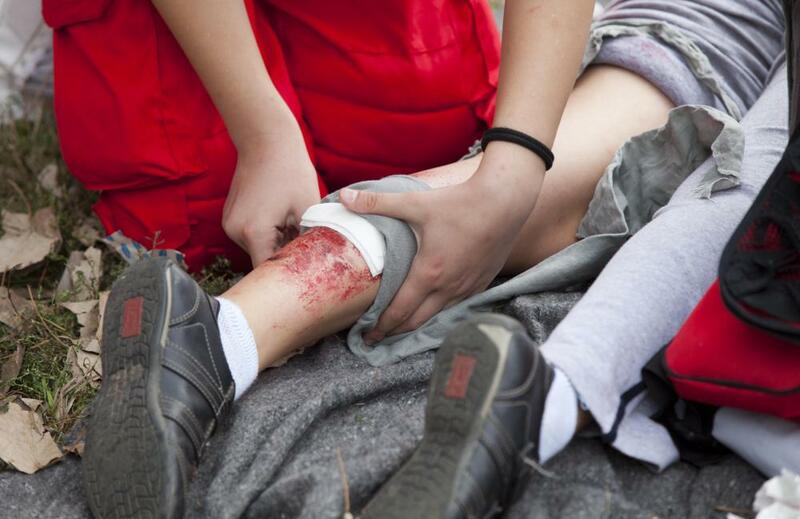 A medical dressing also absorbs blood, pus, and other bodily fluids that may seep from the wound. Many dressings apply pressure to the skin, which help keep the wound closed and encourage new skin cell growth. Pressure also helps reduce swelling, bleeding, and pain. Basic medical dressings absorb substances from the wound, keep it dry, and protect it from outside influences that could cause infection. These types of medical dressing may be self-adhesive, such as traditional bandages, or they may require medical tape or a special wrap to hold the dressing in place. 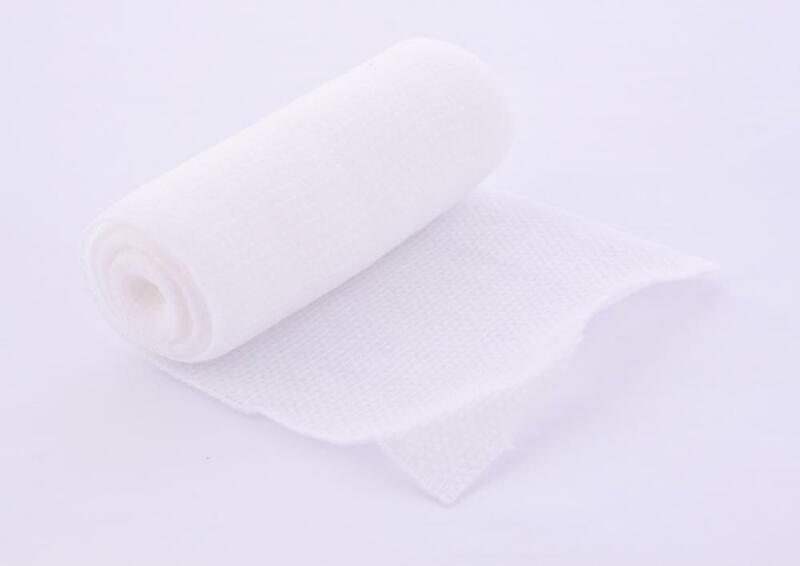 Loosely-woven sterile cloth, such as medical gauze, is one of the most common types of medical dressing. Gauze is often used for minor wounds, but may also be used in combination with other types of dressing for more serious wounds, such as surgical wounds. Many wounds should be kept dry to prevent bacteria growth, but some wounds heal better when they are kept moist. Some types of medical dressing provide a sterile, moist environment to encourage new cell growth to speed the healing process. Alginates keep wounds moist and are held in place with gauze. Some dressings, such as hydrocolloid dressings, contain an adhesive that promotes drainage and healing. These dressings are usually used on deeper wounds or wounds with a high risk of infection. Some moist dressings include topical medications that act as an antibacterial agent to protect the wound from infection or reduce pain. Highly absorbent dressings, such as hydrofiber dressings, create an interaction with fluids that drain from the wound to keep the area moist and encourage healing. These more advanced dressings can often stay on a serious wound for several days, reducing the risk of infection and the introduction of foreign material when removing and changing the dressing. Serious wounds should be monitored carefully for signs of infection, including discolored pus, slow healing, pain, tenderness, or redness. Changing a medical dressing frequently is important to minimize the risk of infection, but dressings should not be changed more frequently than recommended by a doctor. Some wounds may need to be covered with different types of dressings throughout the healing process, so it is important for wound patients to use the medical dressing material provided or recommended by their doctors. What is a Hydrocolloid Dressing? What is a Sterile Dressing? 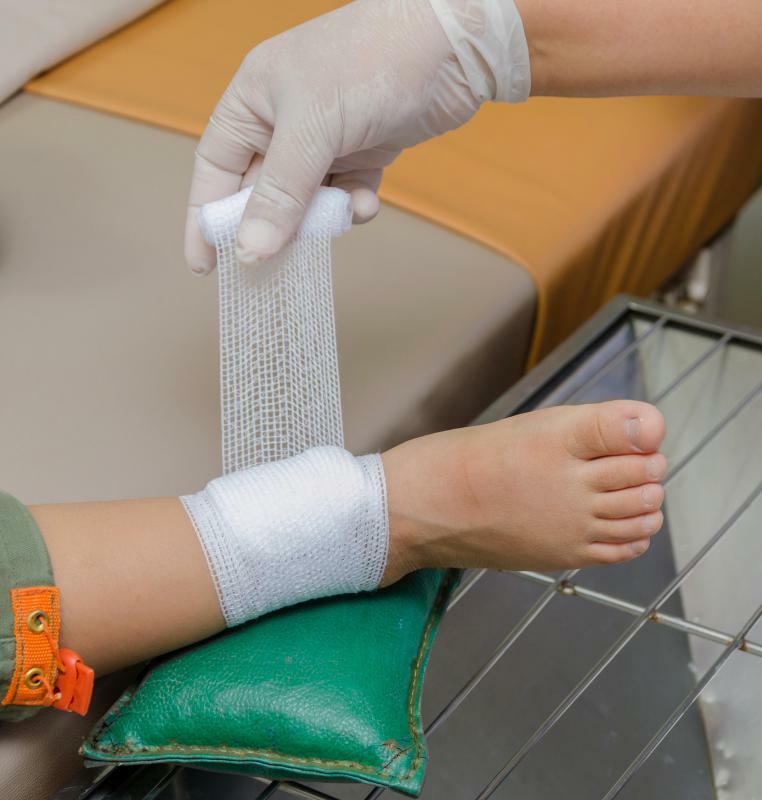 What is Surgical Wound Care?